Only 353 in stock. Additional quantities will deliver at a later date. 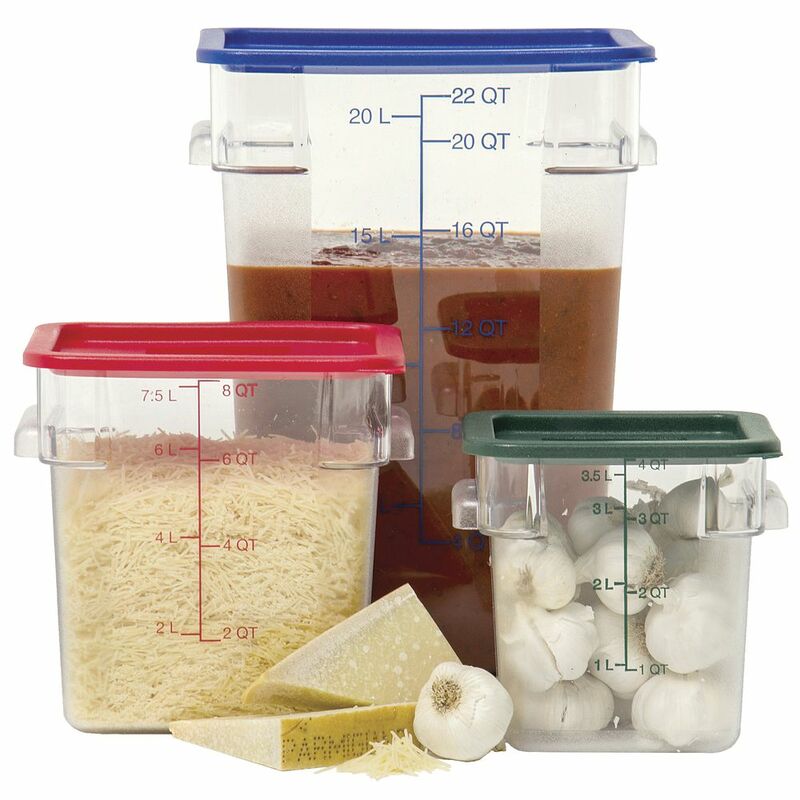 These square plastic food storage containers stack easily with the reinforced corner lugs. The polycarbonate non-slip finish is dishwasher safe. 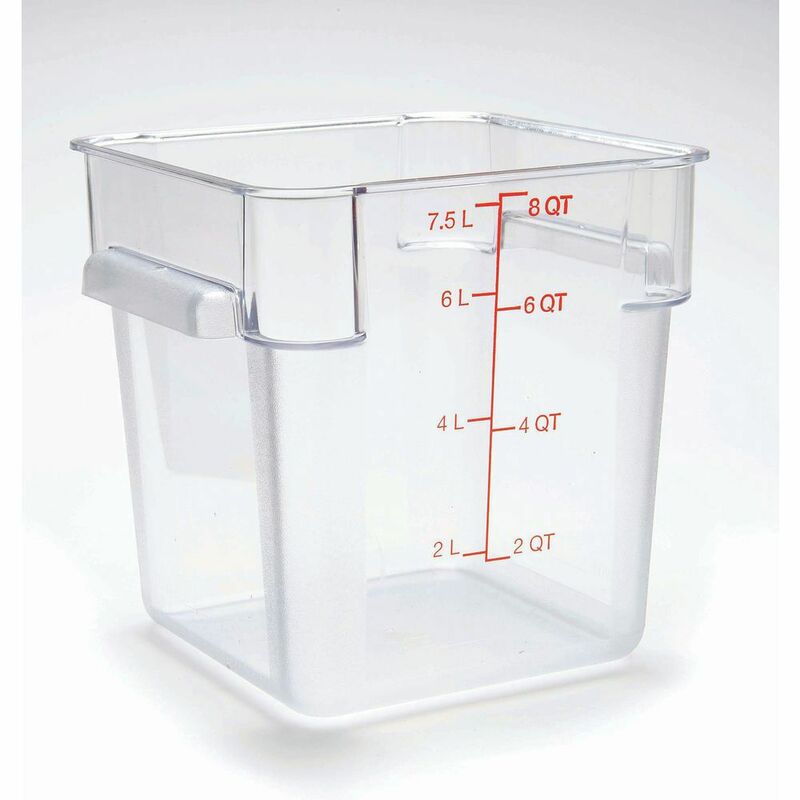 These plastic food storage containers have date and capacity indicators on the side to help with inventory control. The color coded lids snap on tight to secure freshness. These Hubert® brand plastic food storage containers are value priced and available for quick shipping. These plastic lids are red in color to match the right size food storage box. 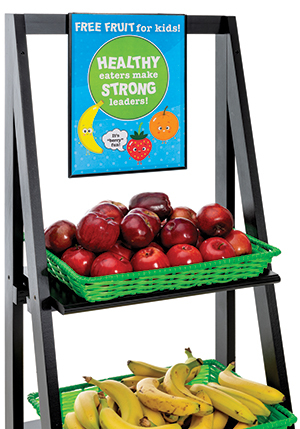 The tops snap tight to prevent spills and contamination. These dishwasher safe plastic lids fit Hubert® brand square storage boxes. The tops are also stackable to save on storage space. These value priced plastic lids are engineered for tough everyday use.